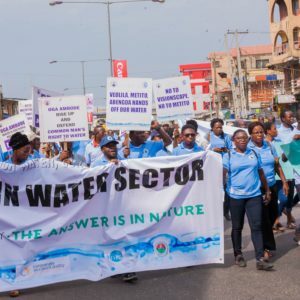 Yesterday, hundreds of people marched through the streets of Lagos, Nigeria to demand that their government reject water privatization and instead support a strong, public water system in the city. 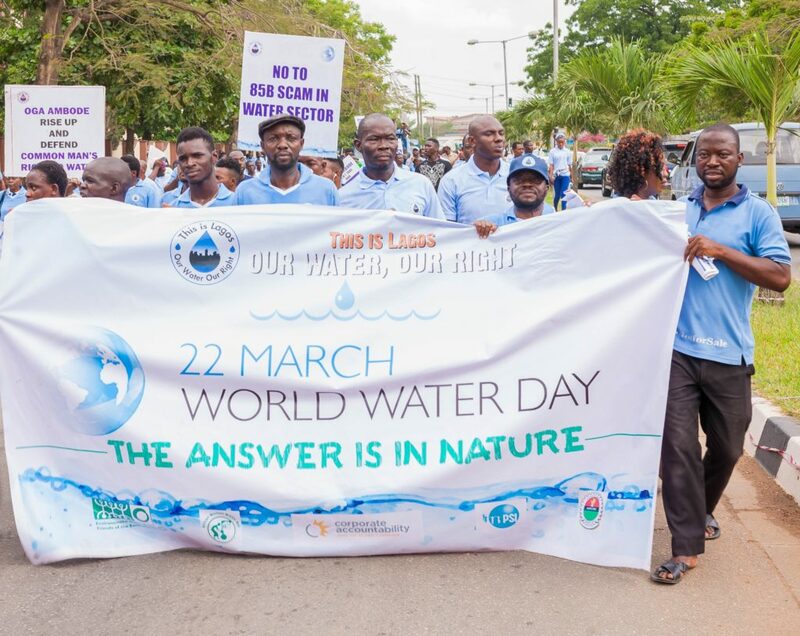 The event was organized by our close partners at African Women Water Sanitation and Hygiene Network (AWWASHNet) and Environmental Rights Action/Friends of the Earth Nigeria (ERA), to mark the 25th annual World Water Day. 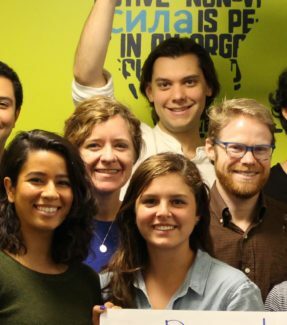 For decades, transnational corporations and their financial backers have attempted to turn water into a profit-driven commodity. These powerful institutions have exacerbated a global crisis, where one in four people lack access to enough safe, clean, and affordable water to meet their daily needs. 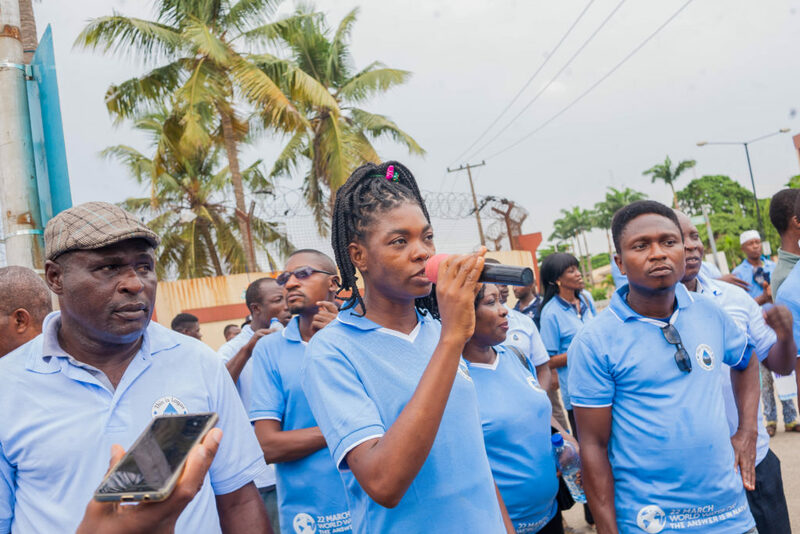 In Lagos, the water crisis is dire, as the World Bank’s decades-long push for water privatization has led to dramatic underfunding of the public water system. This has left the city with dry taps and many people drinking unsafe water or paying exorbitant amounts of money to access this basic human right. 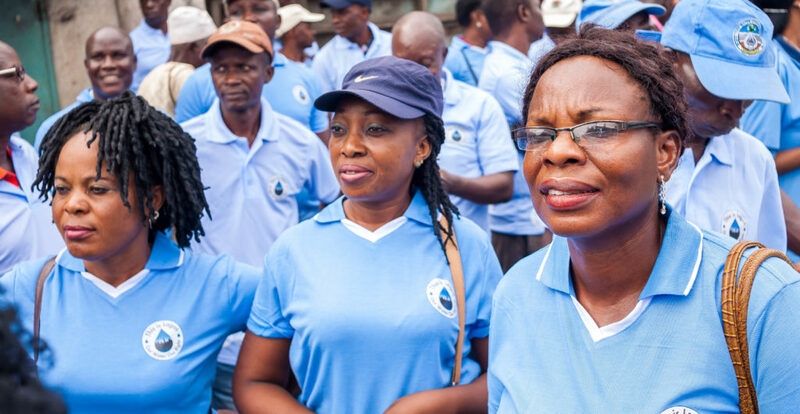 We are proud to stand in solidarity with ERA and AWWASHNet as they help build enormous power in Lagos and internationally, represented by the “Our Water, Our Right” coalition. 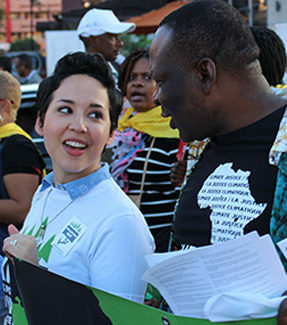 The campaign moved the World Bank to end its latest push for a privatization contract in the city, and has given top officials a clear roadmap forward for a strong, publicly-owned, and equitably-controlled water system. 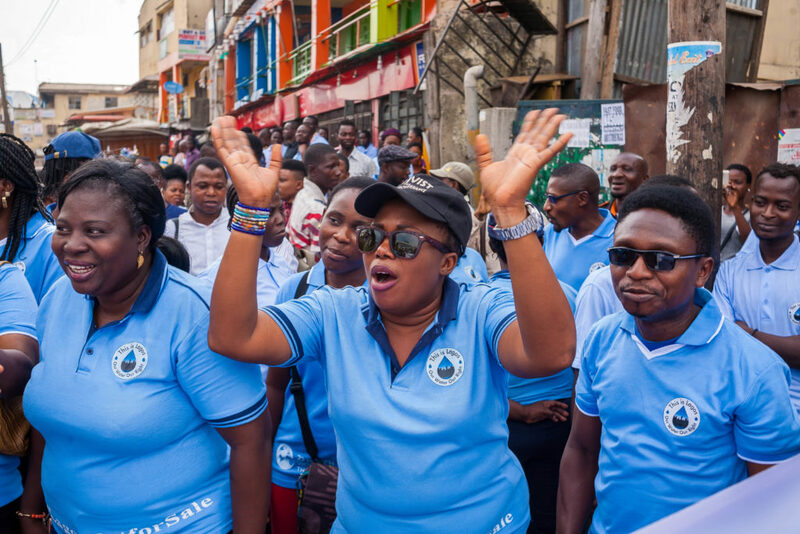 These bold actions by the people of Lagos remind us that when we come together to demand change, we are a force to be reckoned with. 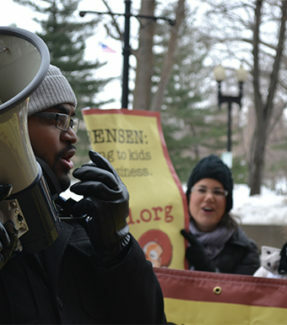 Check out photos from yesterday’s event below.